In addition to the newly launched iPhone 4s, iCloud and iOS5 operating system, Apple has also unveiled a new iPod Nano. The latest version 2001 iPod Nano now includes a redesigned user interface with larger icons, making it even easier for you to navigate. 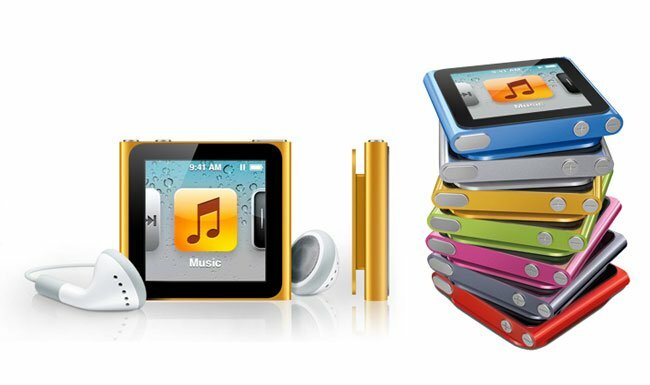 The 2011 Apple iPod Nano retains the same size and slim square design it did in previous versions, together with the multitouch screen and integrated pedometer and FM radio. In response to the array of watch bands that have been launched for the iPod Nano over the last year or so Apple has now added 16 more clock faces, making a total of18 to choose from. The new clock face designs includes analog, digital, animated characters such Mickey Mouse or Kermit the Frog, together with colour options. Check out the new 16 clock faces on the Apple website. The new Apple iPod Nano has also received an improved fitness experience and no longer requires the external Nike+ Sensor to track runs or walks. 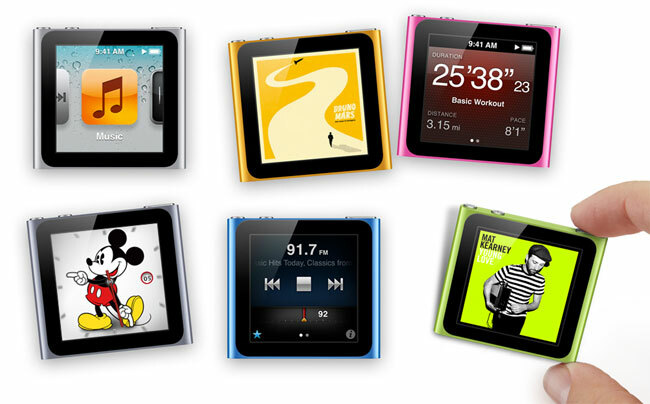 The 2011 iPod Nano is available in 7 colours, and has dropped slightly in price with a 8GB version now costing $129 (previously $149), and the 16GB model now $149 (previously $179).